WRIGLEYVILLE SPORTS IN RIVER NORTH! Wrigleyville Sports is your one stop shop for all your Cubs merchandise and gear. Our store also carries a selection of other Chicago team merchandise including the Blackhawks, Bears, and Bulls. 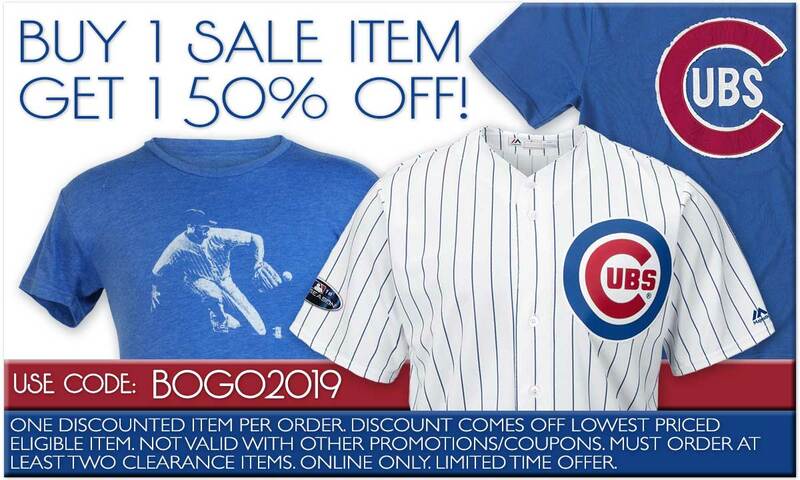 Cheer on your favorite baseball team with Cubs merchandise. Shop our wide selection of Bears football jerseys and hats. Gear up for the next hockey game with Blackhawks merchandise including t-shirts, jackets, and hats.